Living to the century mark. We know genes play a role, but what else? "It went from day to day to year to year," said Leonard Chicoine, who just turned 100. "I had my family with me and we are a close group." He says it has been a life full of love, memories and birthday cards. So, how do you live a long life like Leonard? 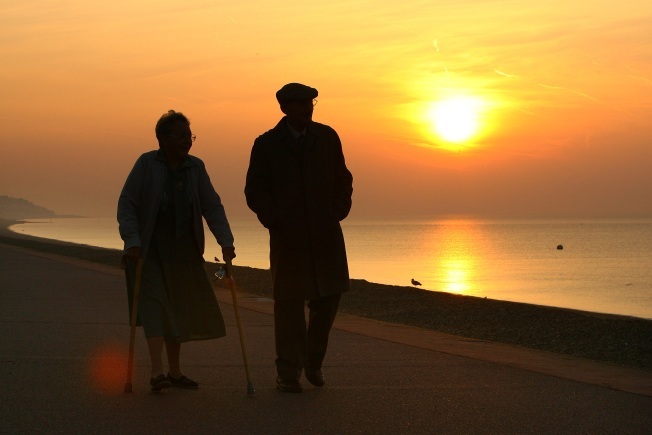 Executive Healthcare Magazine recently compiled a list of things you can do to live to 100. They range from sensible to surprising. We'll start with the obvious -- don't smoke. Also on the list is taking time off work. Whether it’s a vacation or staycation, if it's a break from stress, it's good for you. “Every day for me is a holiday, I get up in the morning and I don't know what day of the week it is," said First Mate Mike. He deals with vacationers for a living as a tour guide aboard the San Diego Seal. He's also outgoing, which is on the list -- a result of being linked with lower stress levels. “Stress reduction is one of the most major helpful things one can do for a person's health and longevity," said Doctor Eva Leonard. There's one item she doesn't agree with. Having a baby later in life. It comes from a University of Utah study showing women who had babies naturally in their 40's lived longer. But she says it could just mean the same age-slowing genes prolong both fertility and life. "I think people generally want to extrapolate information, so with every study it's highly important to look at the study population, the study method, how many people were studied," Dr. Leonard said. Some of the other items on the list you’ve heard before, like the value of eating nuts for their cardiovascular benefits, or drinking wine, or drinking green tea. In fact, studies have shown five plus cups a day can significantly reduce your risk of heart disease or stroke and lets not forget getting seven to eight hours of sleep a night. Rounding out the list -- embrace new technology. It’s a proven status update for keeping brain cells young and healthy. Finally -- Laugh more. It's like free medicine. "And that's absolutely true. It reduces blood pressure, decreases the pulse and helps relationships as well," Dr. Leonard said. As for Leonard Chicoine, his advice is simple and it starts with just two words. Take it from him. After all he is the proof to back it up.